View More In Soaps & Cleansers. 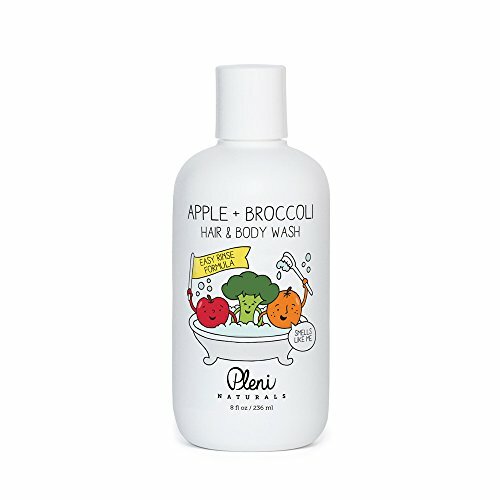 Clean and hydrate baby's hair, scalp and skin gently yet thoroughly with this high-foam and easy-to-rinse wash that's bursting with broccoli seed oil, California grown organic olive oil, and other beneficial fruit and vegetable-based ingredients. DIRECTIONS: Apply to wet hair and body and gently massage into a lather, then rinse. You will be amazed how easy this wash is to rinse out! *please note: This product has a thin consistency so please be mindful when pouring it out of the bottle. Creates abundant foam and lather and a little goes a long way! Smells great and leaves baby and kiddos smelling like fresh squeezed oranges! If you have any questions about this product by Pleni Naturals, contact us by completing and submitting the form below. If you are looking for a specif part number, please include it with your message.